Grandiflora vs. Floribunda – What’s the Difference? “A rose is a rose is a rose”. You probably know that plants and flowers have scientific names as well as the names given to them by rose breeders. 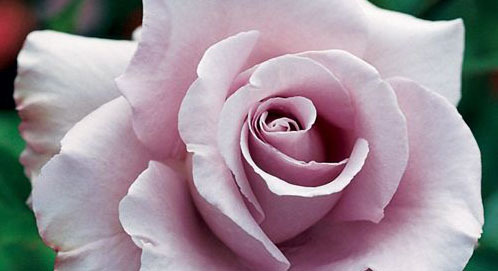 What image comes to mind when you think of a rose? Is it the classic, velvet-smooth red rose? Or maybe a beautiful bloom of pink or an exotic color? There’s Floribunda, Grandiflora…and so many more! It can be quite a lot of information to take in. It’s very important to choose the right rose for your garden – we’re here to help! Rose breeders and hybridizers began to classify roses in 1867, and since then new classifications of roses have been added frequently. Floribunda and Grandiflora are two of the most popular modern rose classifications – though they may look alike, there are many differences between the two. Jackson & Perkins was the first company to use the term Floribunda in the early part of the 20th century. A Floribunda is just that – an abundance of flowers. They may have single or semi-double flowers that can be either cup shaped or flat. A few examples of Floribunda roses are Belinda’s Dream and Crush on You. Most Floribunda flowers are single with 5-12 petals, but the semi-double or double can be up to 45 petals. Floribundas prefer to grow in full sun and have a high tolerance for cold weather. Plant it in a slightly acidic soil and give it plenty of love and you will enjoy beautiful blooms for years to come. The Grandiflora is a result of crossing a Floribunda with a hybrid tea rose. A grandiflora rose bush can easily reach heights of 4-5 feet tall. It is often considered to be the most popular variety of rose. 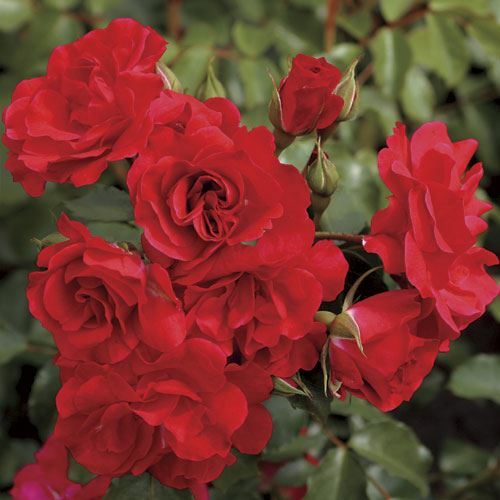 One of the first roses to be classified as a Grandiflora was the ‘Queen Elizabeth‘ in 1954. 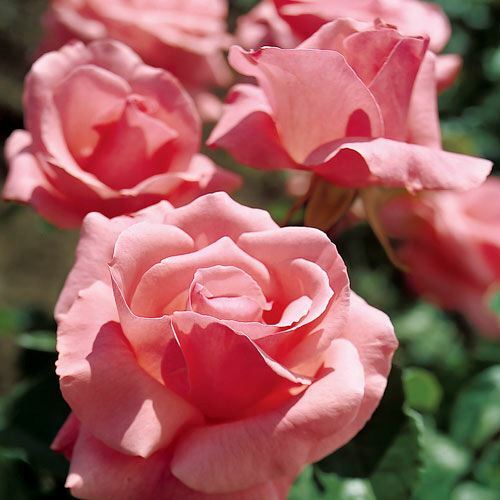 It is a beautiful pink rose – the perfect example of a Grandiflora. It has a high centered bloom that is slightly larger than a floribunda. So, now that you know the basics of these rose classifications you may be wondering – which one is right for me and my garden? There are a few things you will need to consider before you can decide definitively. Consider size – the size of rose you can grow depends on the amount of space that you can devote to growing it. Floribunda roses are more often used for borders while the Grandiflora is often used in larger spaces. Consider climate – if you live in an area with hot summers or cold winters, then you will need to research the roses that can survive in the climate. Floribundas are often more cold-hearty. Consider color – while this is more of a personal preference and for aesthetic purposes, selecting a color of a rose is also important. The color of the rose gives a personal touch to the garden. Both Floribundas and Grandifloras come in a range of different colors – red, pink, white, yellow, purple, and even some blooms with 2 colors. So, a rose is a rose is a rose. No matter what rose you choose, we hope that you choose J&P roses. We’re here to help you have the best garden yet – whether you choose that Floribunda, Grandiflora…Climber, Tree Rose, or Miniature Rose (more on those later! ).